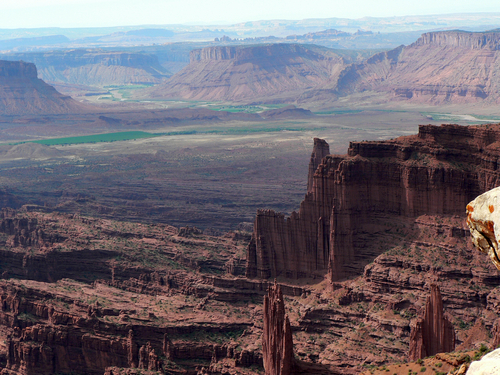 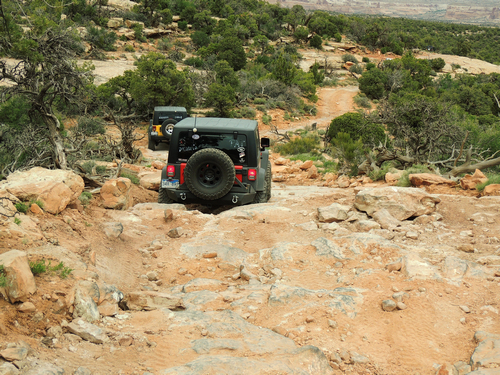 The Fantastic view from the end of this Jeep trail is like you are on the "Top of the World". 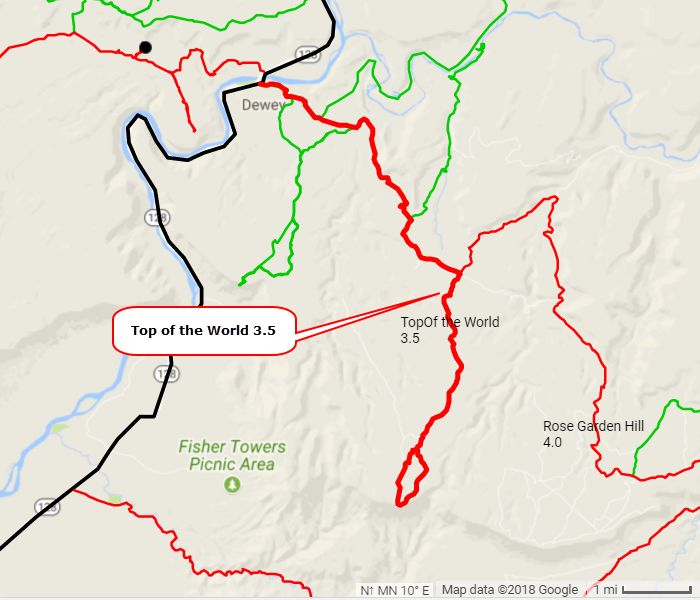 The road in is quite bumpy with a few obstacles that raise the rating to 3.5. 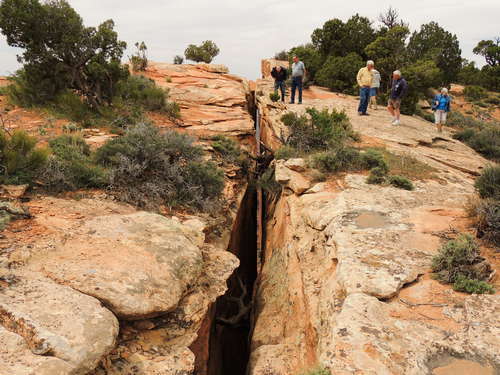 If you go exploring a bit to the left of the overlook you can peer down a huge crack in the rock, all the way to the bottom of the canyon.